Are You Really Ready to Buy a Home?? With all the news about the rising number of foreclosed homes and rising rent prices, if you are any the market for a new home, now seems like a great time to buy a home. Not only is there a wide variety of homes to choose from, prices have continued to fall to more affordable levels. For current homeowners that need to sell their home, times are really hard right now. If you are currently in the market for a new home, right now, you hold all the cards. Hopefully, by the time I am ready to sell my home and move on, the market will have started on the road to recovery. Buying a home is probably the largest purchase you'll make in your lifetime so it is important to do it right. There is more to home buying than whether or not you want to live in a certain school district or if the home is on a cul-de-sac. Of course those things are important in determining whether or not you purchase a home but they should come after the financial aspect is taken care of. 1. Is your income stable? If you don't feel your job will be there tomorrow, now is probably not the time to buy a home. 2. Do you have a downpayment? With all the instability in the housing market, mortgage lenders are requiring more money down before you are approved for a loan. These days, it will be extremely hard to obtain 100% financing for your purchase, even with an excellent credit score. 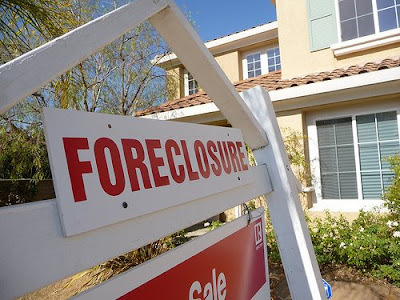 After this housing fiasco, lenders want to limit the amount of risk they expose themselves to. If you put 20% down on a home, you are less likely to walk away from it because you have more to lose. 3. How's your credit? You will have a hard time getting a decent interest rate or even getting approved for a loan if you don't have a pristine credit score. These days, you will need to have a minimum credit score of 720 to get the best rates. Hint: If you are planning to purchase a home, start monitoring your credit six months to a year prior to your purchase. This way you have time to correct any errors and allow your credit score to recover. Equifax offers a service that will monitor all three bureaus for you and alert you to any changes. 4. How's your debt? Is your debt load hovering in dangerous territory? After you make your debt payments, do you barely have enough money to live in? If you answered yes to either of those questions or had to think about the answer, you probably need to wait until you've eliminated more debt before you consider purchasing a home. 5. Are you stable? If you don't plan to stay in your home at least three to five years, it is probably better to wait before purchasing a home. Typically, it takes about three to five years to recoup the cost from buying and selling a home. 6. Savings. Not only will you need to have money saved for your down payment and closing costs, you will also need to have money saved for the additional items you will need after you purchase the home. For example, when I bought my home, there were no blinds in the home and no towel or tissue paper holders. There were no ceiling fans in any of the rooms. Just purchasing those needed items cost me almost $1,000. You will also need to have an Emergency Fund in the event of a job loss or medical issue. 7. Are you ready to be your own landlord? In an apartment or other rented property, if something breaks, all it takes is a call to the landlord. The landlord owns the property and is responsible for the cost of repairs. Your cost is usually only a minor inconvenience. Once you are a homeowner, there is no one to call. Any costs related to home repairs are your responsibility. Find someone to go in that new home with you! Need to make extra cash? Promote popular financial product online. No web experience necessary! Great article! I actually just signed a contract on my first place (a condo, closing is on March 13), and happily I meet all these criteria. Excited about being able to fix up the place and realistic that it will take time, and ready to deal with repairs. It is a foreclosure, and it needs a few repairs (missing some kitchen cabinet doors, needs new paint as most places do, a broken light fixture), but it's a great deal. I'm excited! My advice for anyone preparing to look at buying is start watching places for a long, long time before you even contact a realtor. I was a much more informed consumer when I was ready to make the move. @ Nichole - Congrats on getting a foreclosure. My wife and I have been trying to pick one up for just over a year, but the local market is actually still pretty good and we kept getting beat out by cash offers by investors. We ended up going with a brand-new house with unfinished basement. We don't have 10% down, but we'll be putting a lot of money into finishing the basement ourselves. So within a few months we should have 10% or more equity stake in the house. By the end of the year we should have 4-5 full months of expenses in the Emergency Fund. And zero debt so that's a plus too. I think that a lack of considering those points you mentioned is exactly why we're in the economic mess we're in. This is why these homes are being foreclosed on. However, I'm merely stating the obvious. We've put a bid on a couple of foreclosed properties. Fingers crossed that we get a positive response from the bank! I came across this article as I was in the midst of writing my own series on house hunting for singles. These are all excellent points. I would add that one of the most reliable ways to figure out how much home you can afford is to get pre-approved for a mortgage. That will force you to factor in outstanding student loans, credit card debt, and the like when determining your price range. Other hidden expenses that would-be homeowners sometimes don't think of when seduced by a picture in the real estate section include property taxes, utilities, and homeowners insurance.